Even though Sydney is NOT the capital of Australia, it is still its largest and most popular city. There is a host of things to do around here, from breathtaking outdoor excursions to lavish urban experiences. Whether you are here for a few hours, days or weeks, Sydney is a destination that combines exotic beauty with a bustling downtown. 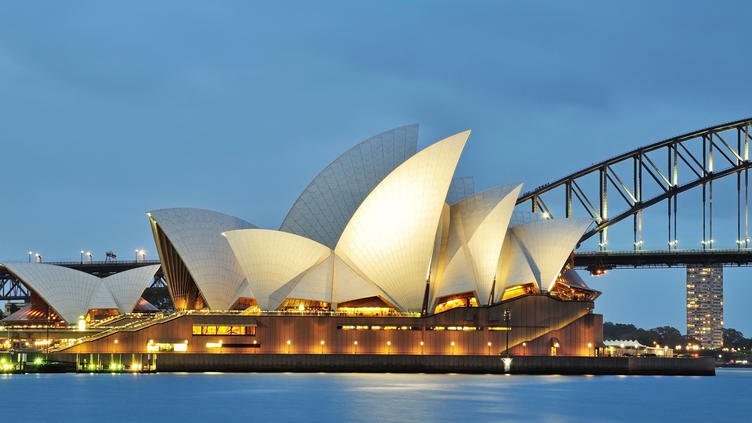 Read on to learn more about how to make the most out of your Sydney experience. Long before Europeans ever arrived in Oceania, the land around Sydney was inhabited by indigenous populations for at least 30,000 years. To this day, the area remains one of the most archaeologically significant sites for Aboriginal people. Sydney was first established as a British penal colony in 1788 when the first shipment of convicts arrived at the area. 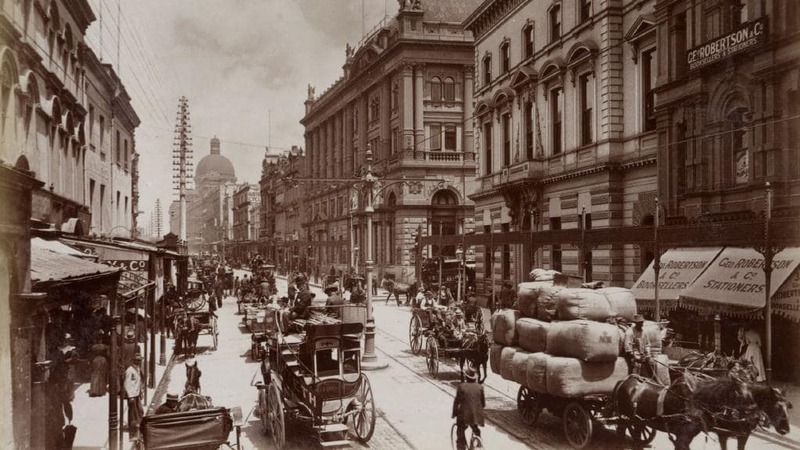 The city was officially incorporated by 1842 and has been a hub of cultures ever since. It is estimated that around 40% of the city’s population speak some language other than English at home! Few cities in the world can claim the same level of natural diversity and cosmopolitan atmosphere as Sydney. Here are just some of the top things to see and do in Sydney. Visit the Sydney Opera House – We don’t care if it’s one of the most important expressionist architectural landmarks in the globe: if it was on Finding Nemo, it’s good enough for us! 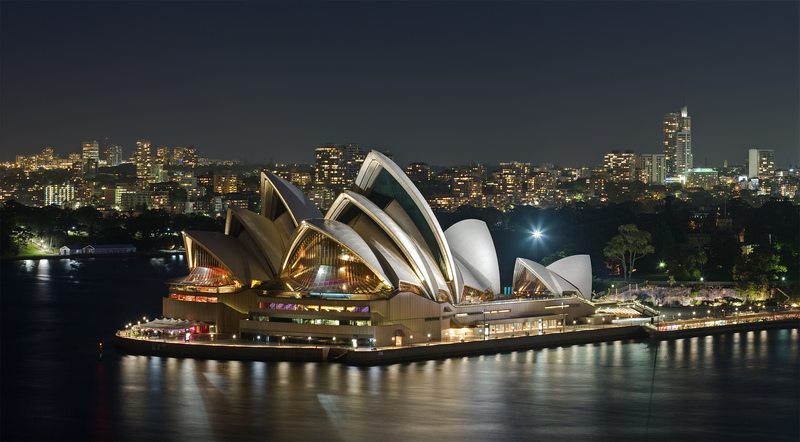 The Sydney Opera House is the central cultural hub of the city and home to The Australian Ballet, the Sydney Theatre Company, the Sydney Symphony Orchestra, and the National Opera. The Sydney Opera House viewed from Mrs Macquarie’s point in Sydney. 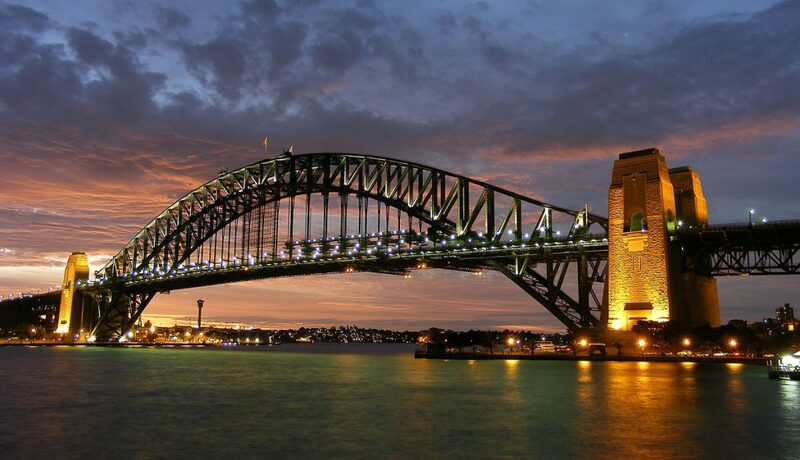 Climb the Sydney Harbour Bridge – Perhaps the second most iconic landmark in the city, the Harbour Bridge is over a kilometer long, connecting Sydney CBD to the North Shore. Be aware that climbing the bridge requires a decent fitness level and is quite expensive, starting from $130-150 for an adult ticket. Well, a photograph will work just as well. 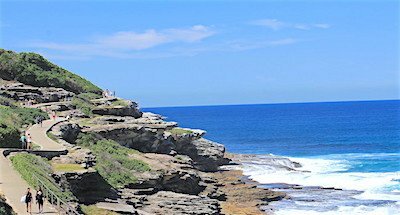 Walk from Bondi to Coogee – Bondi Beach is a short drive from downtown Sydney, and it is one of the most popular summer destinations in the city. Rather than compete with hundreds of strangers for a spot in the sun, we’d recommend that you take the scenic route all the way down to the relaxed suburb of Coogee. Thankfully, the area is full of cool restaurants, as a 6-km walk will surely help you work up an appetite. Discover Wendy’s Secret Garden – Now that’s a landmark you won’t find on most tourist guides! 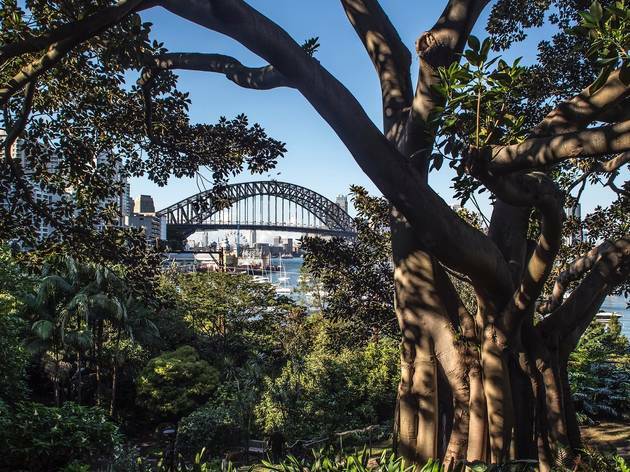 This quaint little park with amazing views of the Sydney Harbour Bridge has a sad, but wonderful history behind it. Twenty-seven years ago, Wendy Whiteley’s husband suddenly passed away. To fight off pain and grief, Wendy started clearing garbage and debris from an abandoned railway yard. Little by little, she transformed the once ruined area into one of the most scenic spots on the city. Well worth the visit on a nice summer day! 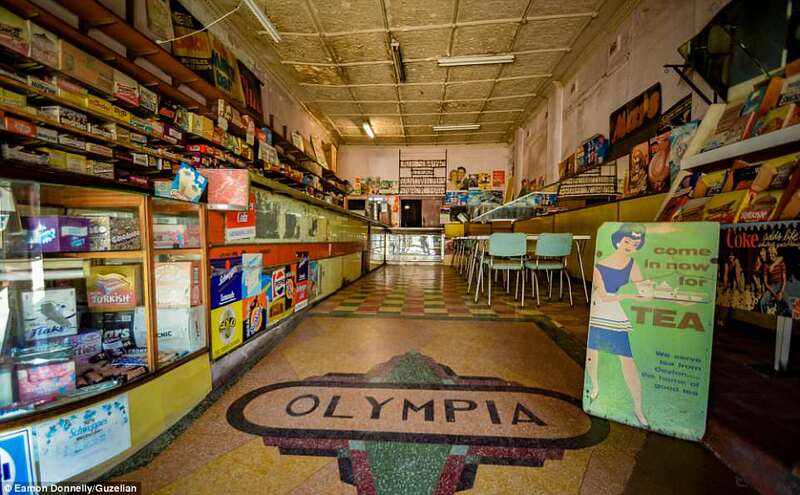 Visit the Olympia Milk Bar – One of the most peculiar pieces of Sydney’s history, this shopfront has remained unchanged since its opening, 80 years ago. The shop has attained a cult status due to its decrepit exterior and the crankiness of its owner, Nicholas Fotiou, who doesn’t seem to enjoy small talk or offers from people who want to renovate his shop. Safety inspectors found that the shop was in a state of disrepair and had to close it down last year. However, even though the shop is not operating, the owner can be seen inside, ready for work. If you can stomach this gut-wrenching story, it is worth a visit. 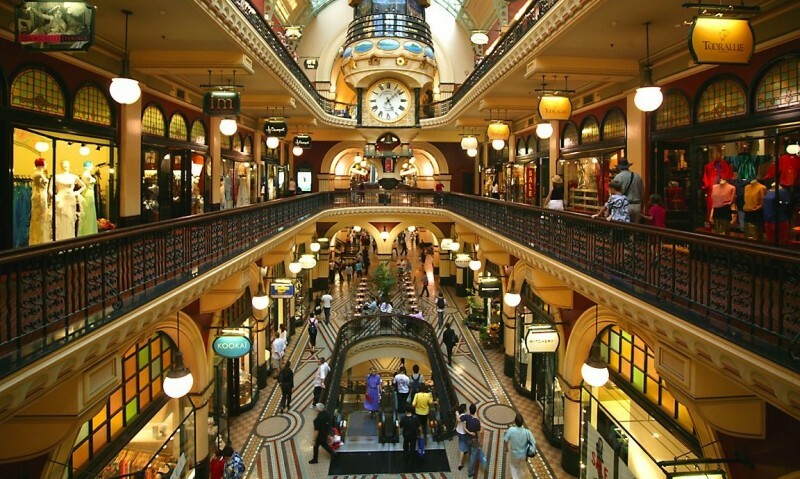 Shop at the Queen Victoria Building – Melancholic real people stories are not all you’ll find on your walks in the streets of Sydney. As Australia’s most populous city, Sydney is the capital for shopping and fashion. The Queen Victoria Building is the prime retail hotspot in downtown, and it is also listed as a national heritage. It is gigantic (spanning one block) so it’s quite hard to miss! Stroll through the Taronga Zoo – You probably know already that Australia is home to some of the most fascinating wildlife on the planet. Starting from kangaroos and going all the way to koalas, evolution has took a weird turn in this continent. 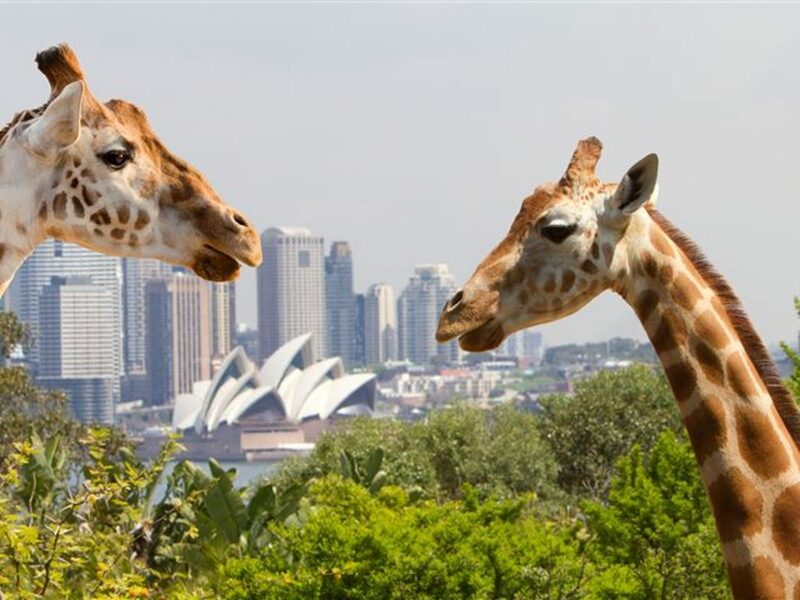 Most of the indigenous species can be discovered at Sydney’s Taronga Zoo, located in the northeastern part of the city. Apart from native Australian animals, you’ll also see many species from Asia, Africa and South America. Click here for useful information about the zoo. Waiting for your Airbnb check-in or don’t know what to do after a check-out? Don’t waste your time dragging your bags along! 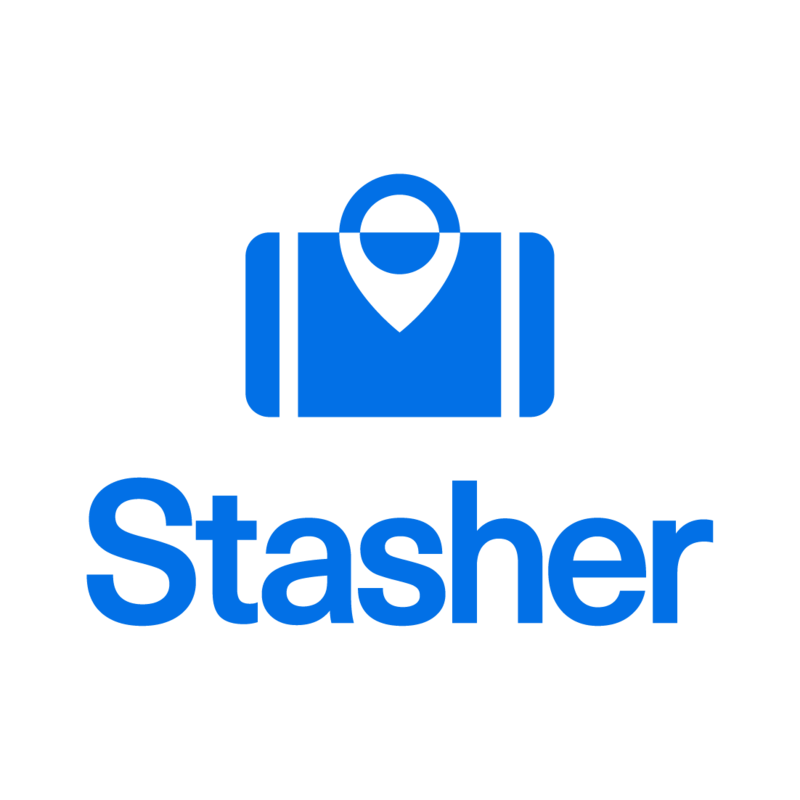 Find convenient and affordable luggage storage in Sydney with Stasher. We’re about 70% cheaper than other options in the Sydney CBD! Click here for a map with all our Sydney locations. 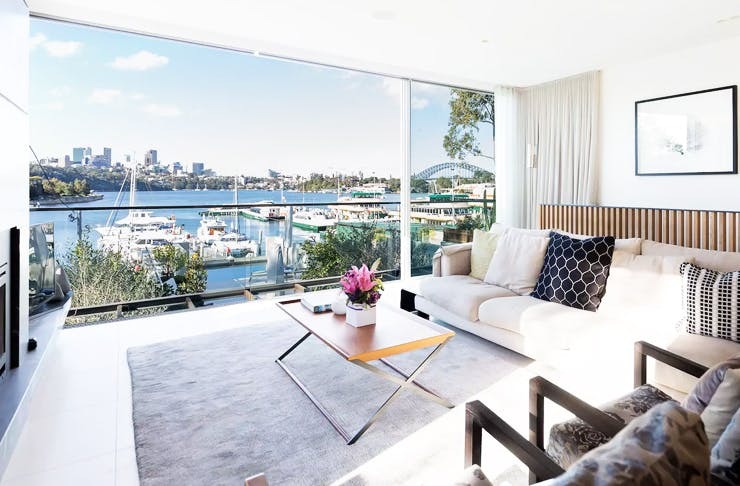 Spring (September to December) and fall (March to May) are the best times to visit Sydney, as tickets are cheaper and the temperatures are more bearable than the summer months. 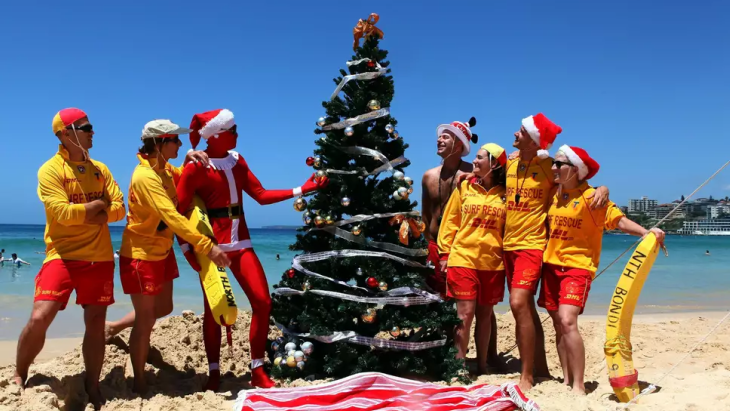 That’s not to say that enjoying Christmas οn a beach is not worth it: Sydney will be equally amazing anytime you visit it. If you’re going there from May to early September, remember to pack some winter clothes. Sydney features a robust transportation network of trains, buses and ferries. Learn more about it below. Sydney airport is located within city limits, so it is extremely easy to reach the centre after you arrive. The train journey takes about 15 minutes and costs about A$15 one-way. You will need a local Opal Card to purchase public transportation tickets around the city. Sydney Buses travel through the city and nearby areas almost 24/7. Most routes within the centre are prepaid, so you will need to purchase a ticket before boarding a bus. Ticket outlets can be found near bus stops. Visitors can easily travel to and from the suburbs with trains departing from Central, Museum, St James, Town Hall, Wynyard, Circular Quay, Martin Place and Kings Cross. Trains to Bondi Beach leave from Martin Place, and all train stations have automatic ticket vending machines. Light rail services operate every 15 minutes from Central to Lilyfield (06:00-23:00 Mon-Thu, 06:00-00:00 Fri-Sat). Central to The Star service runs 24/7. Ferries to nearby destinations such as Manly, Taronga Zoo, Kirribilli, Balmain, Neutral Bay, Rose Bay and Mosman depart daily from the terminal at Circular Quay. The population of Sydney is about 4.5 million people. That’s about 20% of the entire population of Australia. Citizens of Sydney are called Sydneysiders. Opal Cards are a must-have when you are visiting Sydney. They work in a similar way to Oyster Cards and they are immensely practical. Do not limit yourself within city limits. There are areas of extraordinary beauty just a few hours away from Sydney. Some of them include the Royal National Park, the Saltwater National Park, Newcastle, the Blue Mountains and the Stockton Sand Dunes. Sydney is 9 hours ahead of GMT, so think before you call back home to tell them what a great time you’re having.